the Laverda specialist in Texas USA Scott Potter. He had used the back wheel from a Suzuki GS750. Scott was so kind to provide some details and I quickly aquired a complete wheel with brake disc, sprocket carrier, axle and all spacers. carrier and the inner sleeve. 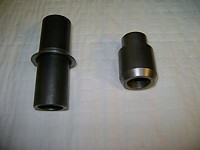 I opted to have the sleeve copied but with 17mm inner diameter. Then I looked at the OEM 630 sprocket and options to replace the sprocket with a 530 item. sprocket but is a 530 item. An aftermarket sprocket dealer supplied the correct sprocket I needed. 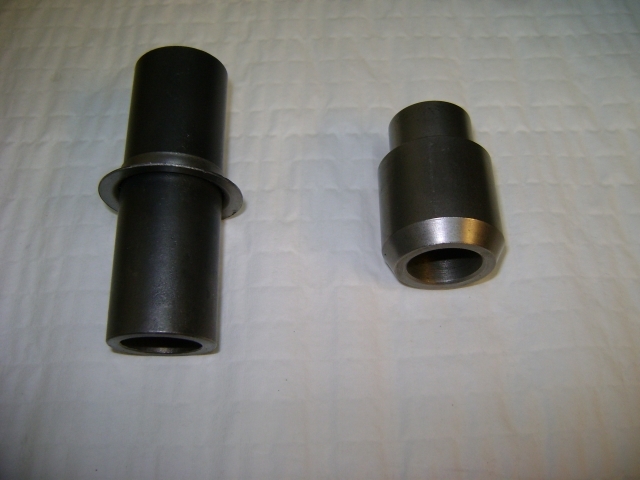 with 17mm inner diameter. Shimming the brake caliper was the last step to have a friction free moving wheel. I am pleased with the result and would like to point out that I am not a professional mechanic. - Machine a new inner sleeve (between the right hub bearing and the sprocket carrier bearing) with an internal diameter of 17mm, same length and dimensions as the OE Suzuki sleeve. - Retain inner sleeve (used only to compensate for radial forces between the 2 hub bearings) and insert 2 new 6303 bearings instead of the 6204 ones. - Shim the caliper to center it.